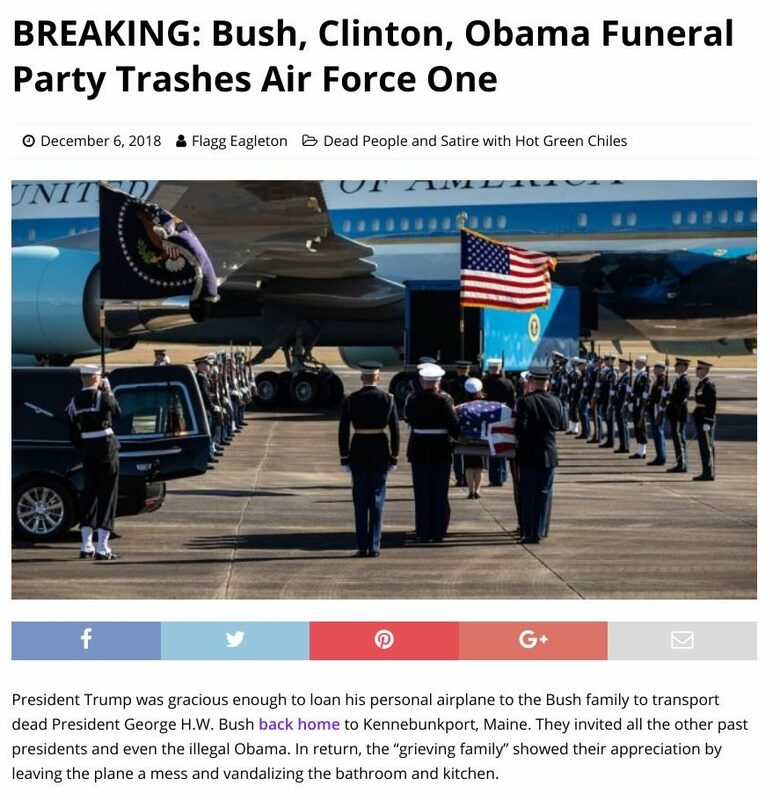 FACT CHECK: Did the Bush, Clinton, and Obama Funeral Party Trash Air Force One? Did the Bush, Clinton, and Obama Funeral Party Trash Air Force One? "Please return your seats to an upright position and clean up the kitchen and bathrooms." Former presidents Bush, Obama, and Clinton trashed Air Force One after the funeral of George H.W. Bush. President Trump was gracious enough to loan his personal airplane to the Bush family to transport dead President George H.W. Bush back home to Kennebunkport, Maine. They invited all the other past presidents and even the illegal Obama. In return, the “grieving family” showed their appreciation by leaving the plane a mess and vandalizing the bathroom and kitchen. 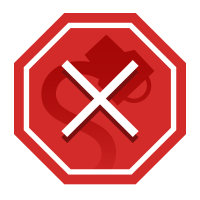 This was not a genuine news article, as WeAreTheLlod.com and the rest of the Last Line of Defense network are junk news sites that have a long history of publishing misinformation.